How would you do on an '80s Regents history exam? 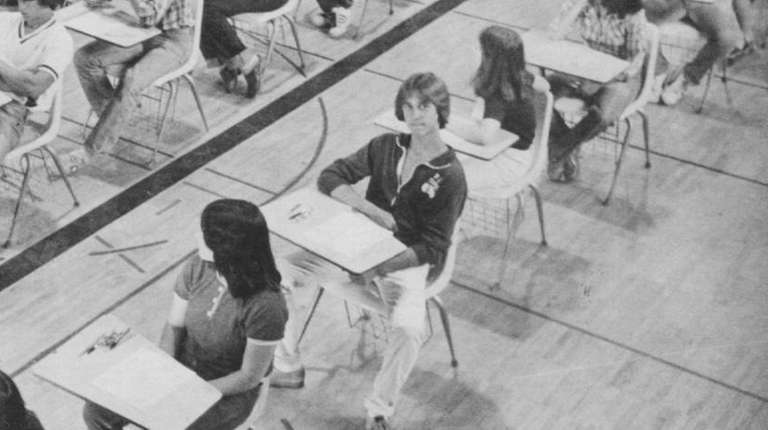 How much do you remember from your high school days? Sure, maybe you can vividly recall what you wore to prom or who won the homecoming game senior year, but what if you were asked to take the Social Studies Regents exam again? We've compiled 10 questions from the June 1987 test. Cities provided a wide variety of cultural activities. Immigrants encountered little prejudice in cities. Immigrants were used to urban environments because most had lived in European cities. Jobs were available in urban factories. In the United States, which has done the most to speed the assimilation of immigrant groups? Which statement best describes a major experience of black Americans in Southern states during the period 1880-1930? They gained civil rights through a series of massive civil rights protests. They were denied civil rights as a result of changes in State laws and constitutions. They were granted more civil rights through a number of Supreme Court decisions. They were forced to return to Africa in large numbers. Which characteristic is most essential to a democratic society? Which factor contributed most to the rise of the feudal system in Europe? Which was a significant result of the renewed study of Greek and Roman life during the late medieval period in Europe? Which is the major reason that the United Nations has often been unsuccessful in solving international disputes? The United Nations does not have sufficient funds to act. The disputing nations are usually not members of the United Nations. National sovereignty stands in the way of international cooperation. The United Nations Charter does not provide a means to settle disputes.